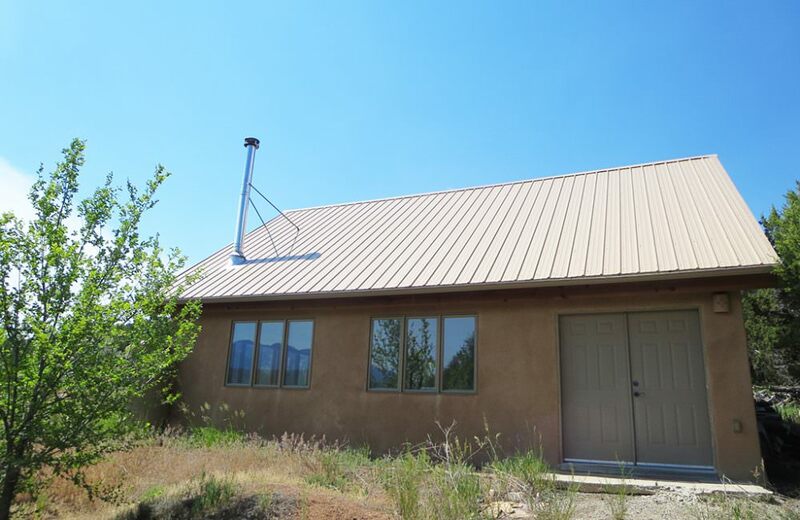 Located on seven verdant acres with water rights, this property is prime for a self-sufficient, on or off grid agricultural homestead, supporting orchards, food cultivation, horses or other livestock! 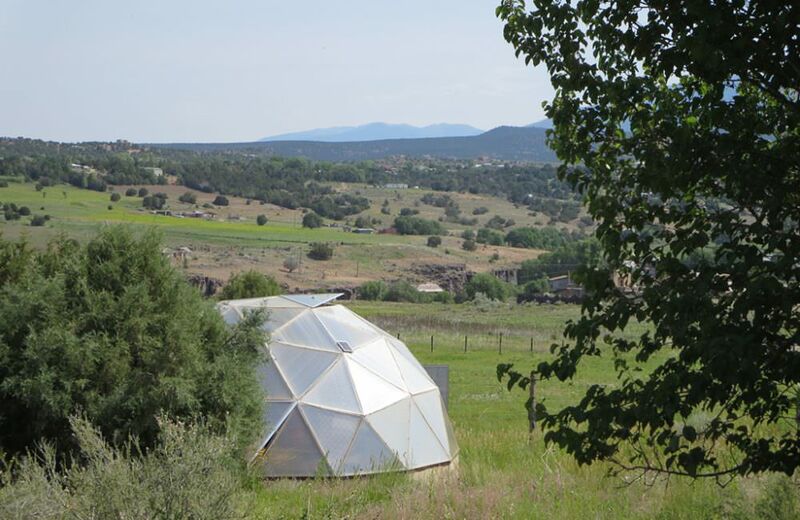 Numerous buildings include premiere Loveless-Pennington main house, guest house, workshop, barn and geodesic dome greenhouse. 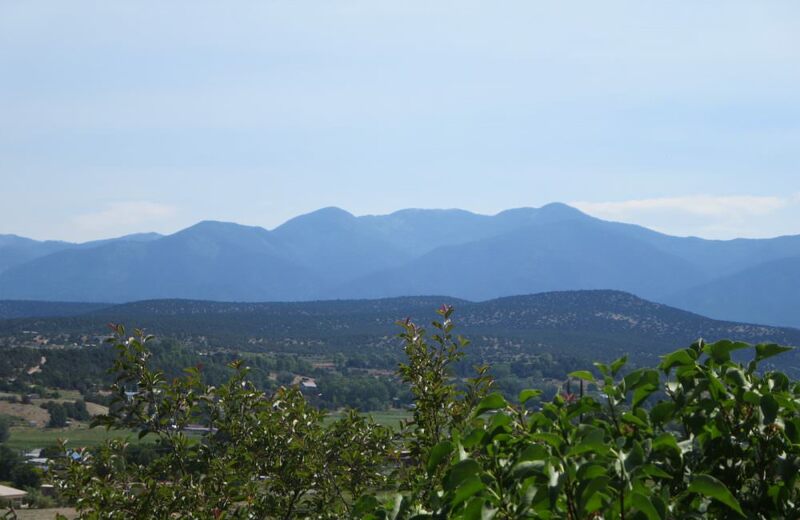 GPS: 36.52781, -105.68846 in Arroyo Hondo area of Taos. 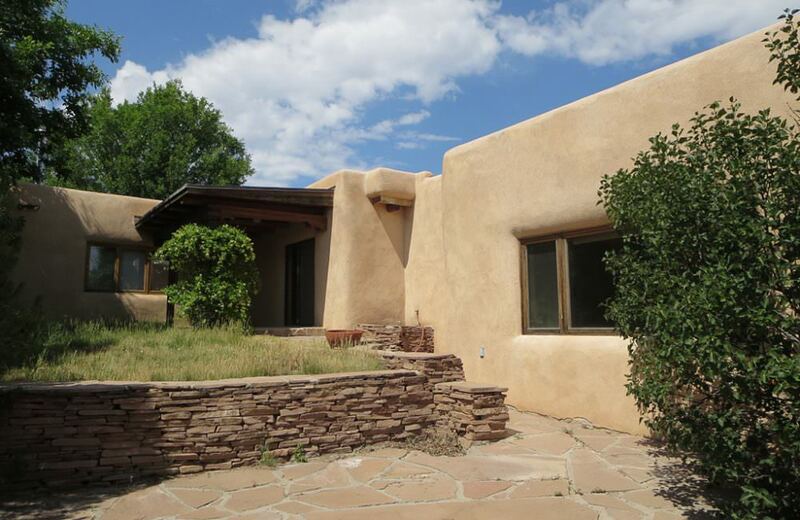 The insulated adobe main house has 3,442 square feet, three spacious bedrooms, two baths, and a study. 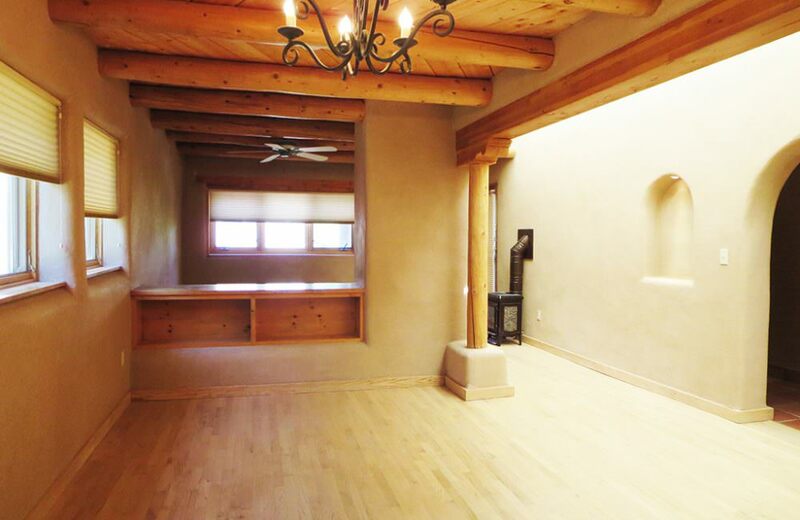 A traditional Northern New Mexico design, this property features architectural elements that include mica plaster walls, vigas and tongue and groove ceilings, Saltillo and Talavera tile, oak strip and pine plank floors. 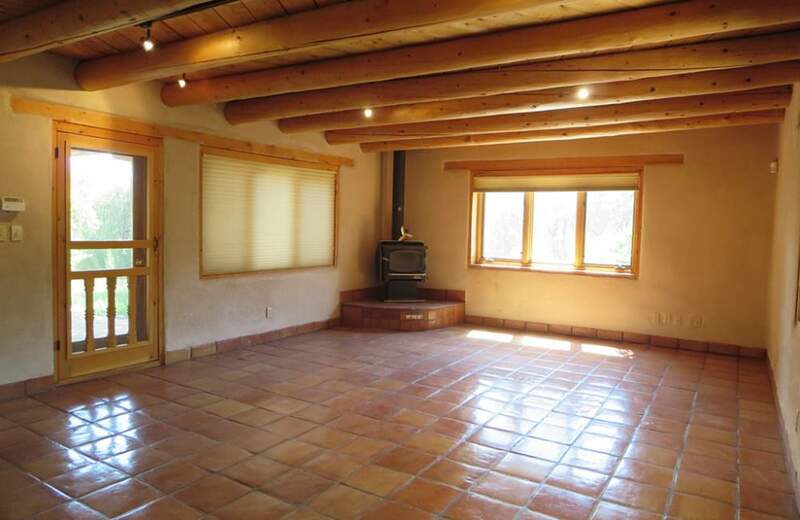 Light and bright with windows overlooking valley and mountain views. 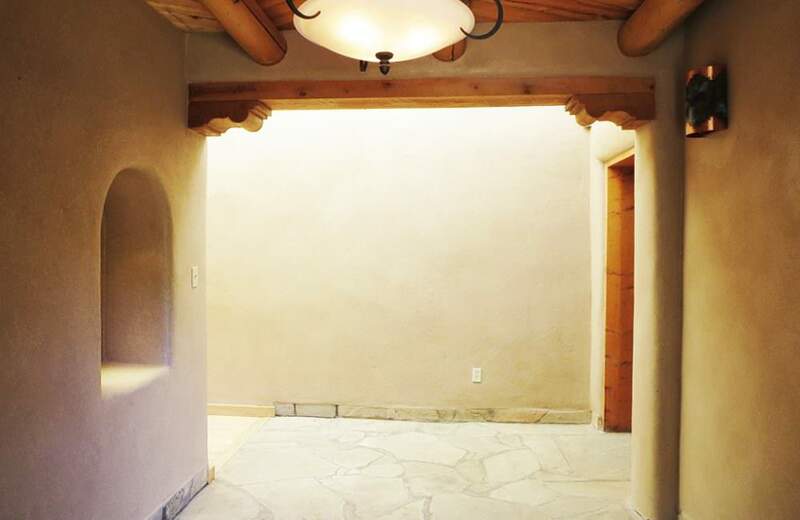 Spacious entry foyer greets visitors. 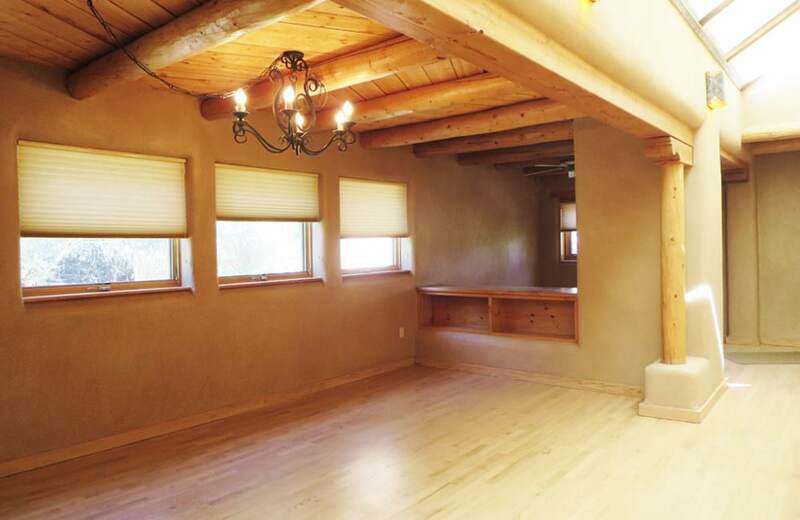 Striking formal Dining Room abuts cozy Study with soapstone gas wood stove. 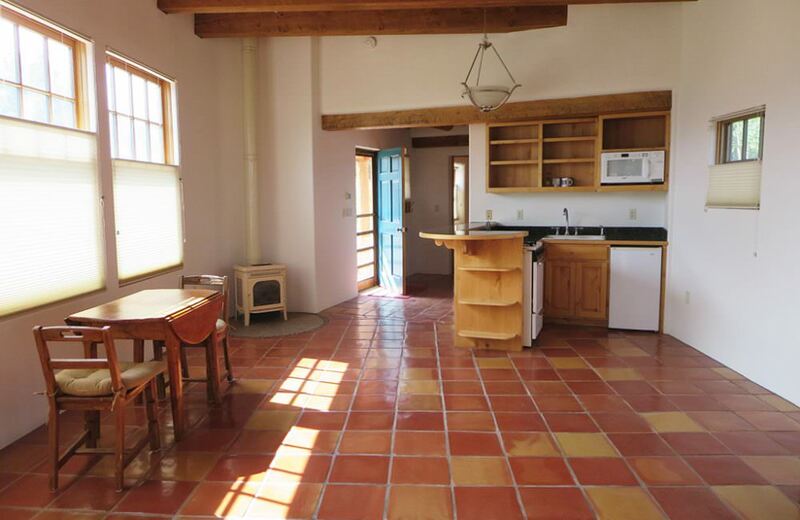 Country kitchen with eat in bar opens into large Living Area with wood stove and access to portal and walled gardens. 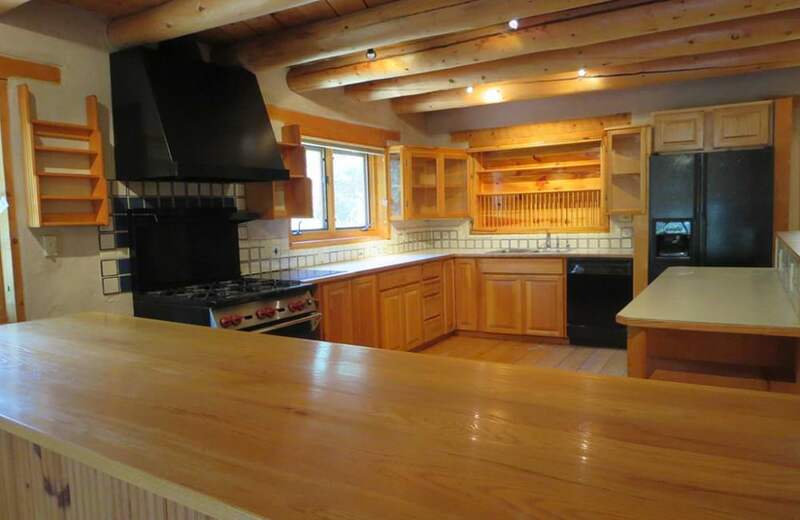 Appliances include Wolf gas range with Vent-a-Hood exhaust fan, dishwasher, disposal and refrigerator. 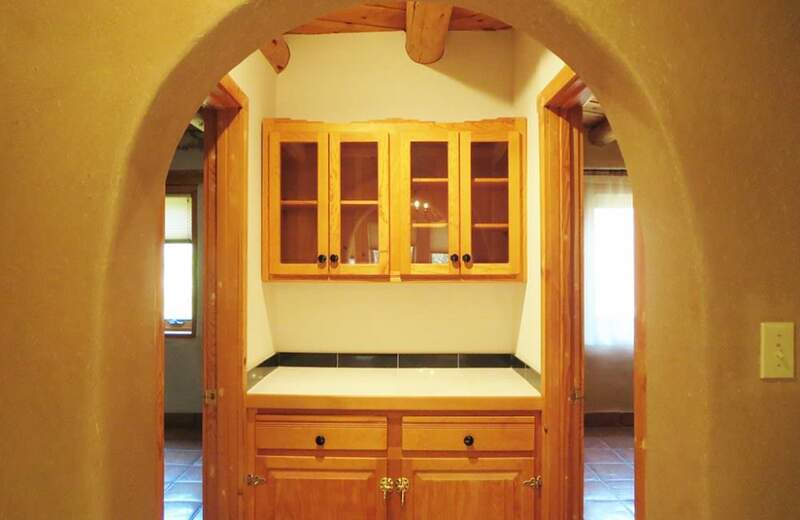 Ample countertops and cabinet storage with large walk-in pantry. 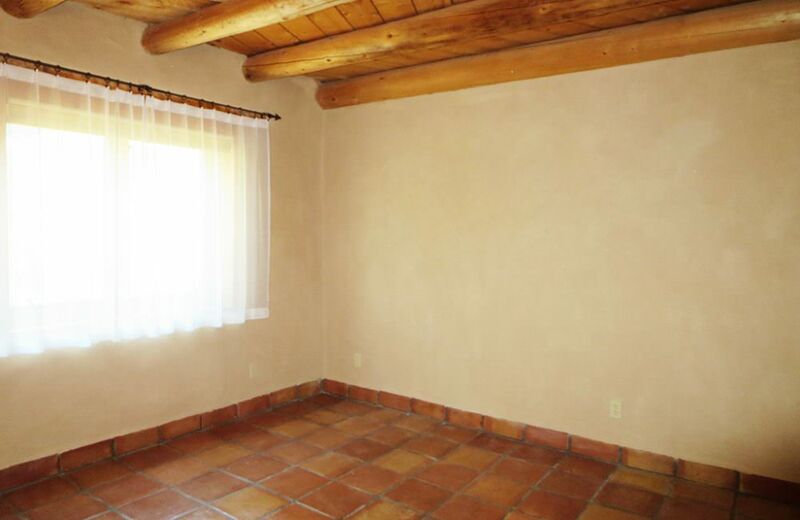 Split Master Bedroom suite features a private sitting area flex space, access to outdoor patio areas, kiva fireplace, double vanity cabinets, walk-in closet, shower, and separate jetted tub. 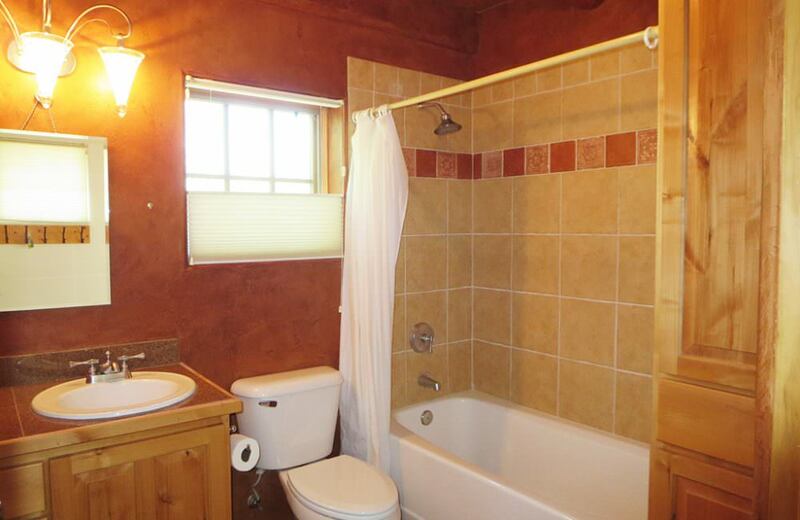 Two spacious Guest Bedrooms share a tub and shower Guest Bathroom on the other end of the house. 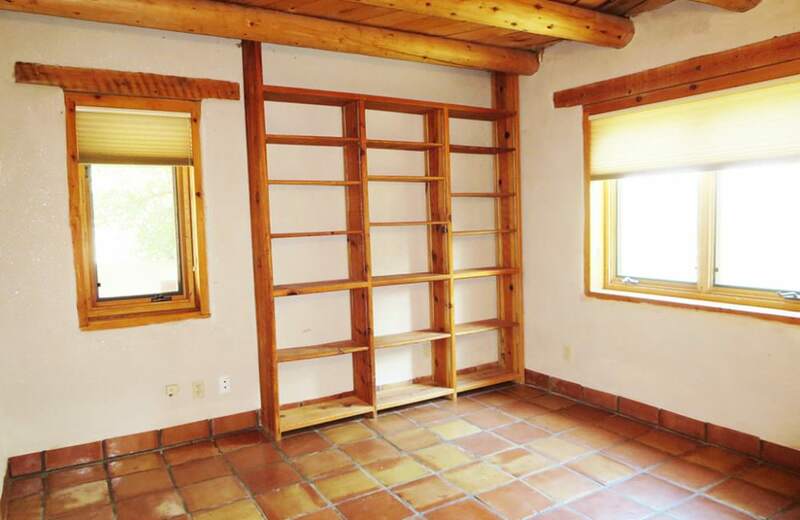 Main house has plenty of storage and a 363 square feet attached carport. 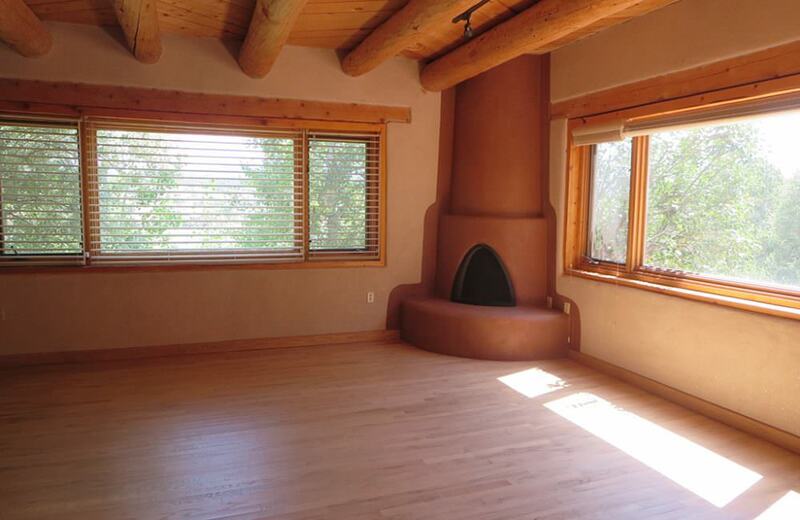 Walled gardens with kiva fireplace, portal and open patios provide valley and mountain views. 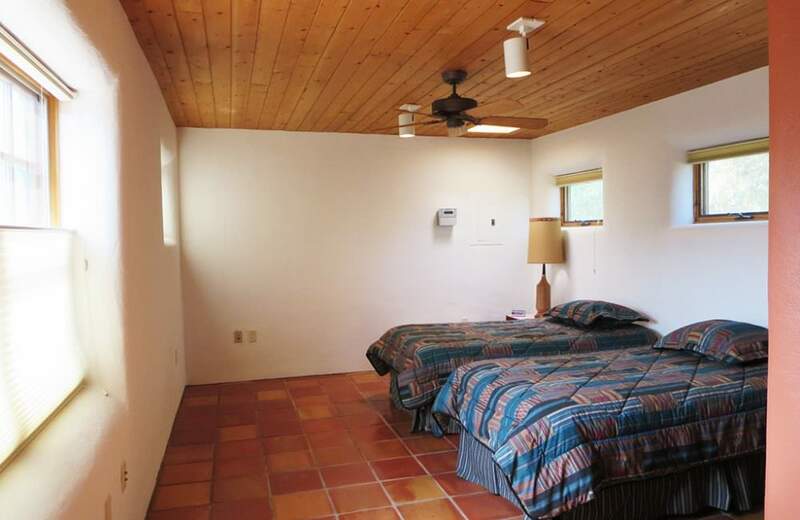 An 833 square feet pumice Casita Guest House features separate entry and parking with one spacious bedroom, one full tub and shower bathroom, and large open kitchen, dining and living area; perfect for family and friends or additional rental income. 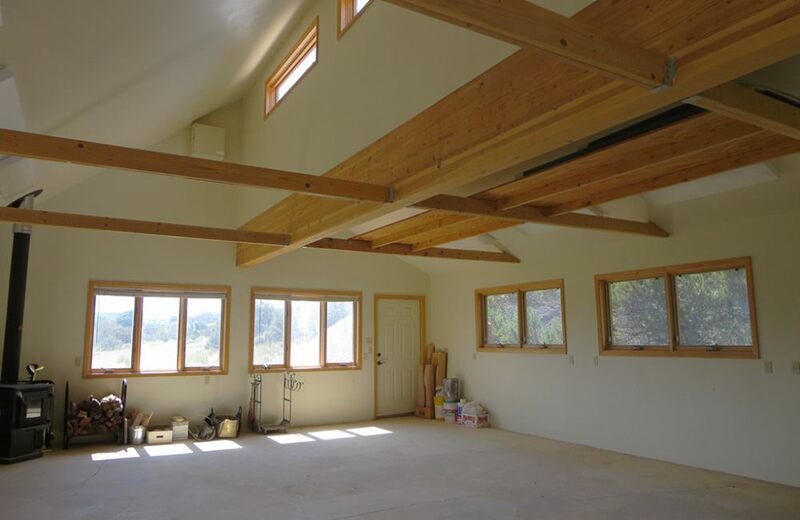 The workshop is a 780 square feet passive solar, pitched metal roof structure with cathedral ceiling, clerestory windows, electricity, in floor radiant heat, and wood burning wood stove. 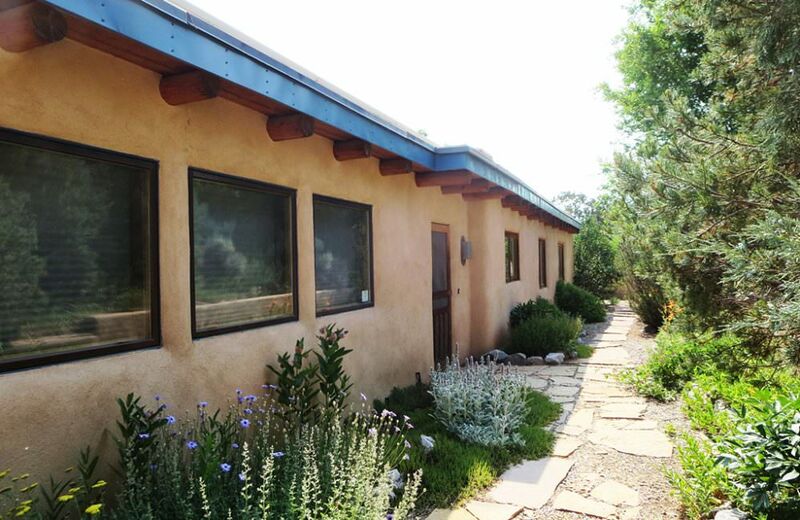 Additional outbuildings include a barn with electricity, two walk-in stalls, separate hay storage, and tack room, and a 380 square feet geodesic dome greenhouse with raised planting beds and outdoor garden areas. 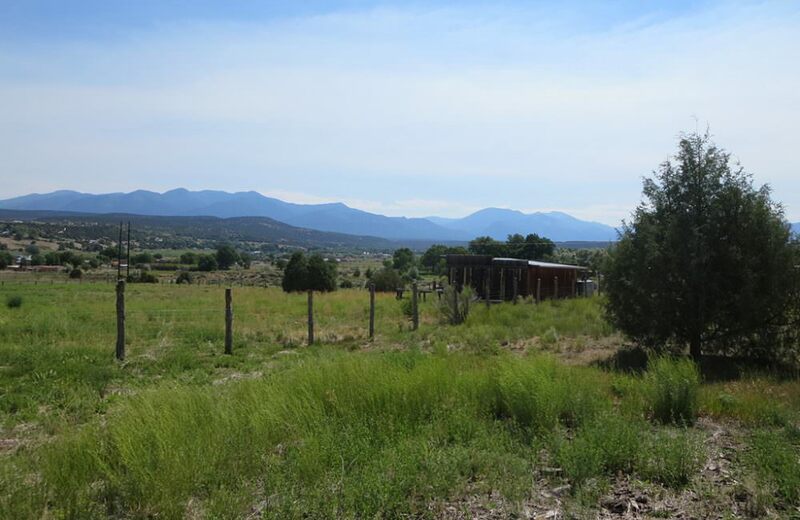 Property includes 3.19 acres of water rights on the Acequia Madre del Llano, 3.194 acres of Taos Land Trust Agricultural Conservation Easement, and stock pond. 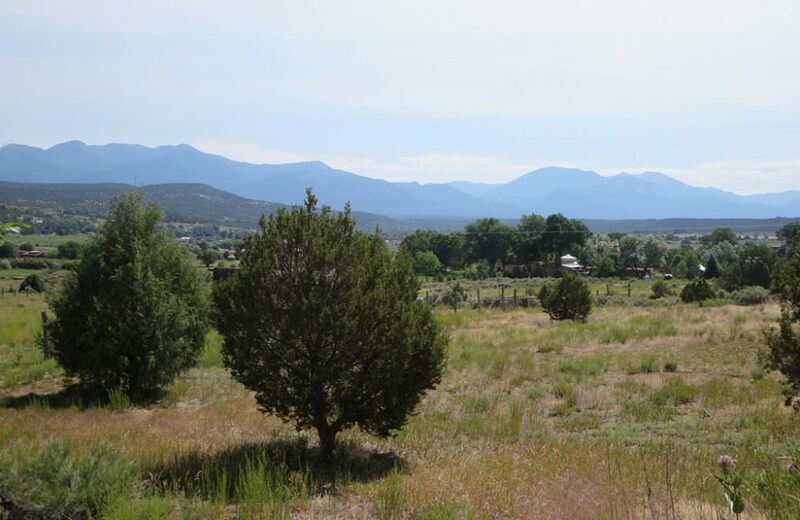 Pinon, juniper, assorted fruit trees, and open meadows. 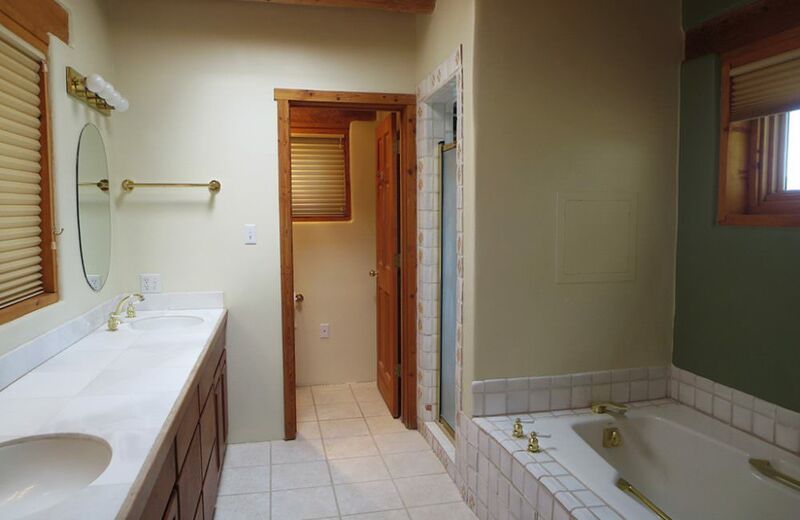 Two septic systems for main house and casita, and private well. 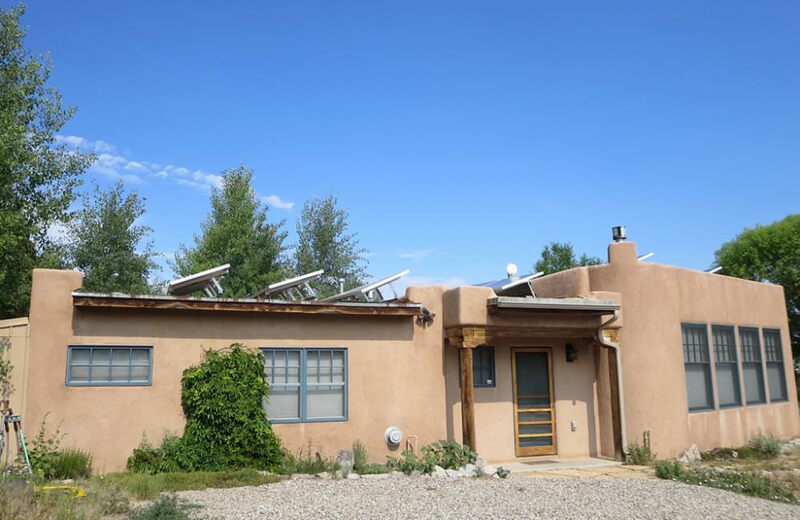 Active solar thermal and solar photovoltaic systems supply main house, casita, and workshop. 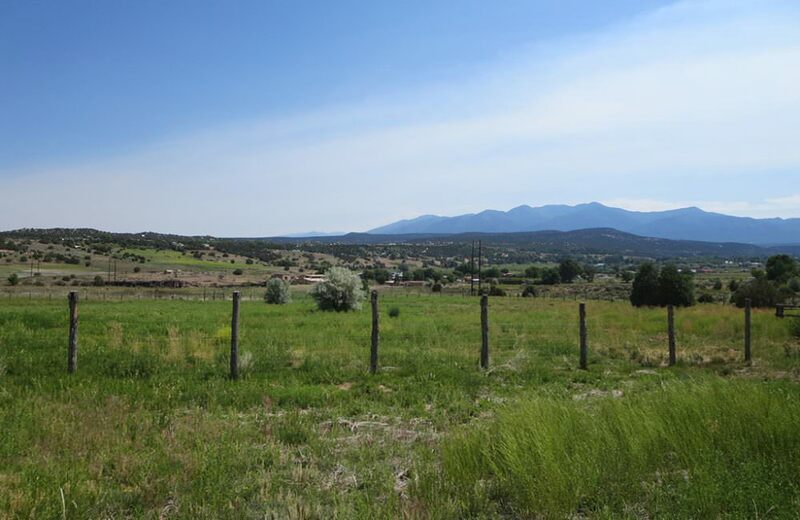 Property is fenced and cross fenced. 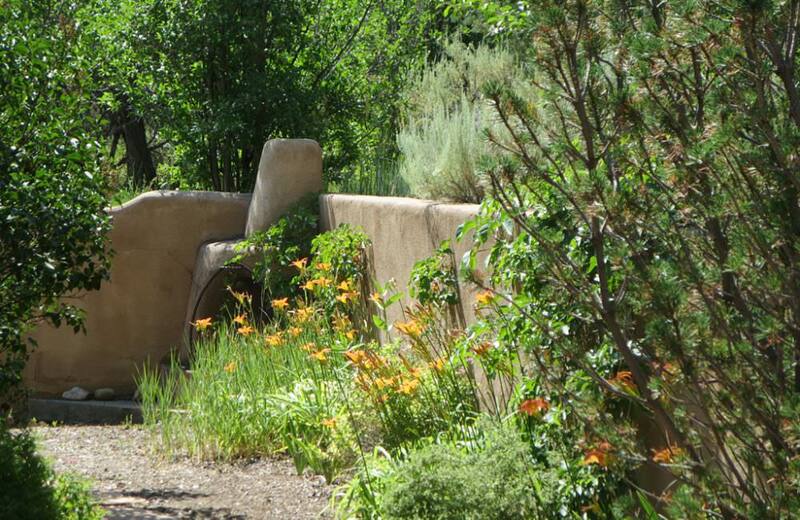 Additional parking at road. 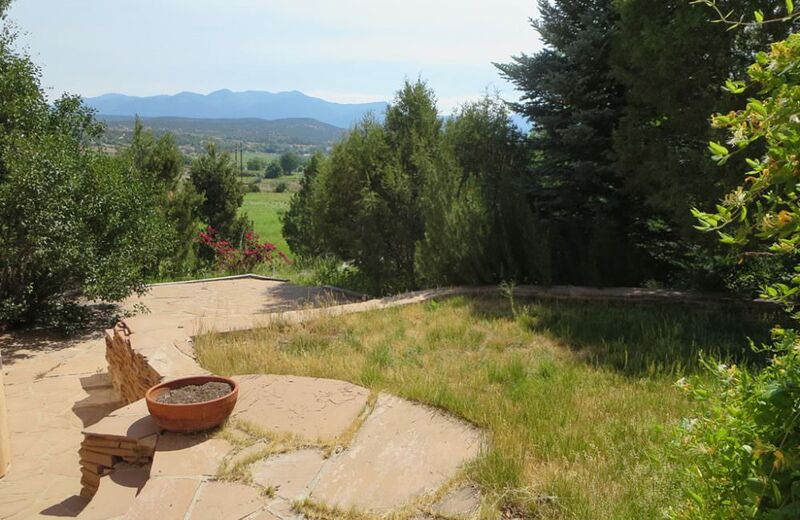 Protected, pastoral views of Arroyo Hondo Valley and Sangre de Cristo Mountains. 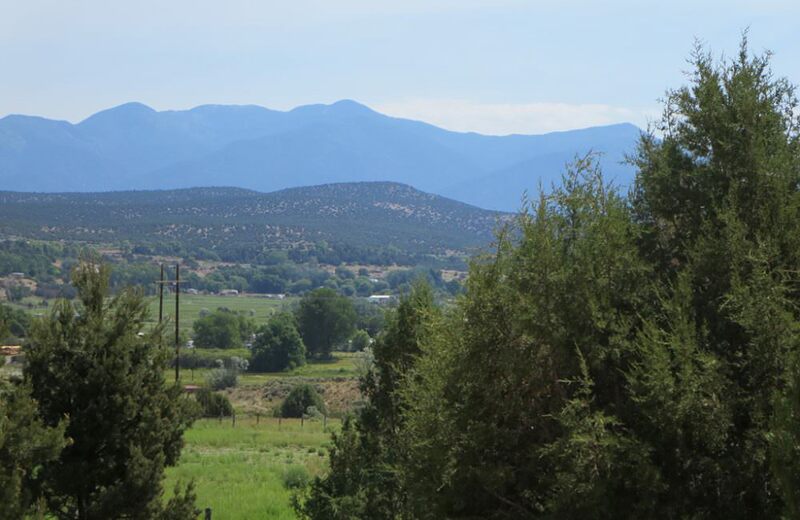 A short 1.25 mile hike or horseback ride to John Dunn Bridge at the confluence of the Rio Hondo and the Rio Grande. 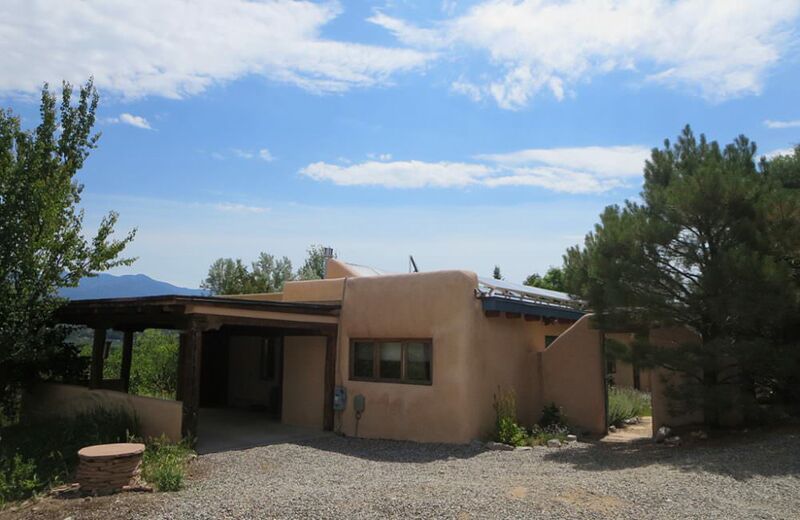 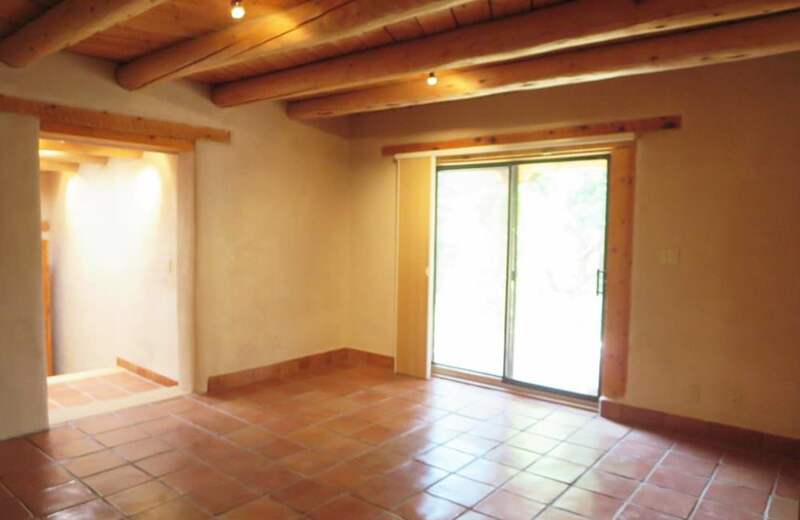 Located in Arroyo Hondo just 15 minutes from Taos Plaza and 20 minutes from Taos Ski Valley! 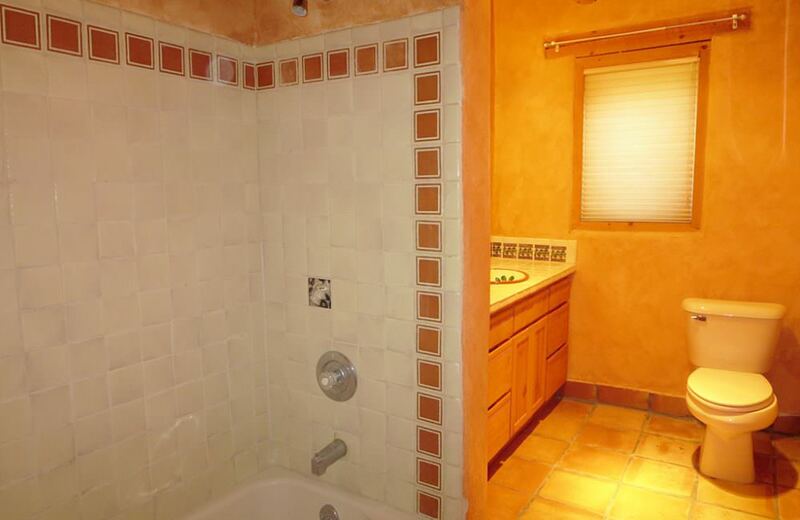 Priced under current Glenda Schaefer appraisal.